In this non-fiction book Manchee explores the myriad of reasons why small businesses fail, provides practical advice on how to turn an ailing business around, and gives dozens of examples of entrepreneurs he has worked with in the past who have successfully reorganized their businesses. 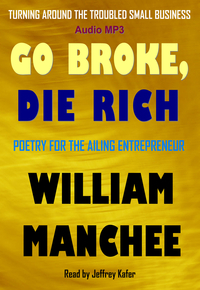 Go Broke, Die Rich is written in a concise and entertaining style with lots of interesting stories and even a little poetry. Publishing great fiction since 1999. Lenore James, a woman of independent means who has outlived three husbands, is determined to disentangle her brother Gilbert from the beguiling Charlotte Eden. 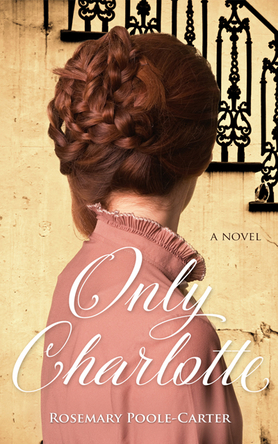 Chafing against misogyny and racism in the post-Civil War South, Lenore learns that Charlotte’s husband is enmeshed in the re-enslavement schemes of a powerful judge, and she worries that Gilbert’s adoration of Charlotte will lead him into disaster. Inspired by a production of Shakespeare’s The Winter’s Tale, Lenore adopts the role of Paulina for herself to discover how far Charlotte’s husband bears the blame for his wife’s fate and whether or not he is capable of atonement. In her process of unraveling the intricacies of the lives of others, Lenore finds that Gilbert’s love for Charlotte is, indeed, his saving grace while Lenore’s passion for creative expression is her own. Tarizon’s thirty-one states have been at war for over a hundred years. The cost of these wars has been the loss of millions of soldiers and civilians, the destruction of most of the world’s infrastructure, and a toxic pollution of the air that has made the planet nearly uninhabitable. Believing Tarizon’s fate was sealed, the twenty most wealthy and powerful men on Tarizon, known as the Group of Twenty, make plans to evacuate with their friends and families to Tarizon’s sister planet Earth. Others board ships and go into orbital hibernation hoping someday the planet’s environment will recover allowing them to return to the surface. But for most, there is no escape and they face the harsh reality that they will all soon be facing a slow and painful death from either disease, starvation or asphyxiation. Then, miraculously, a young boy named Sandee Brahn and Whisper, a wild beast called a rhutz, come out of the wilderness claiming that the God Pelgrem came to them in a dream and gave them the task of bringing peace to Tarizon. 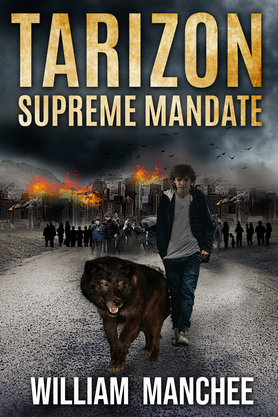 Although many mock Sandee Brahn and Whisper’s claims, thousands flock to his side believing he truly is a holy man and is Tarizon’s last hope. Dallas attorney Stan Turner hates criminal law but has a propensity for attracting murder cases anyway. 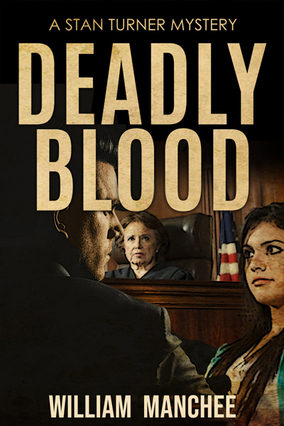 So, it's no big surprise when a simple attorney-ad-litem appointment in family court evolves into a complex murder defense. Melody Monroe, a delightful teenager with ambitions to be a gymnast, loses her parents in a tragic auto accident. She is devastated and falls into a deep depression. Without any relatives to take her in, she ends up with Child Protective Services. Due to what CPS considers to be her bad attitude, they have difficulty placing her with a permanent foster family until Frank and Marjorie Monroe come along. They are a middle-aged couple who want a child but don’t want the hassle of raising one who is very young, so Melody is a perfect fit. Before long, Melody learns that Frank and his sister Natalie are beneficiaries of the Monroe Trust which owns a ranch worth millions of dollars. The two hate each other, and as the date draws near for the final release of the trust restriction on selling the ranch, Frank is found dead behind the wheel of his Ford Ranger. When Melody is charged with his murder she begs Stan to defend her.